November 14, 2018 By Allyson 7 Comments This post may contain affiliate links. Read my disclosure policy. 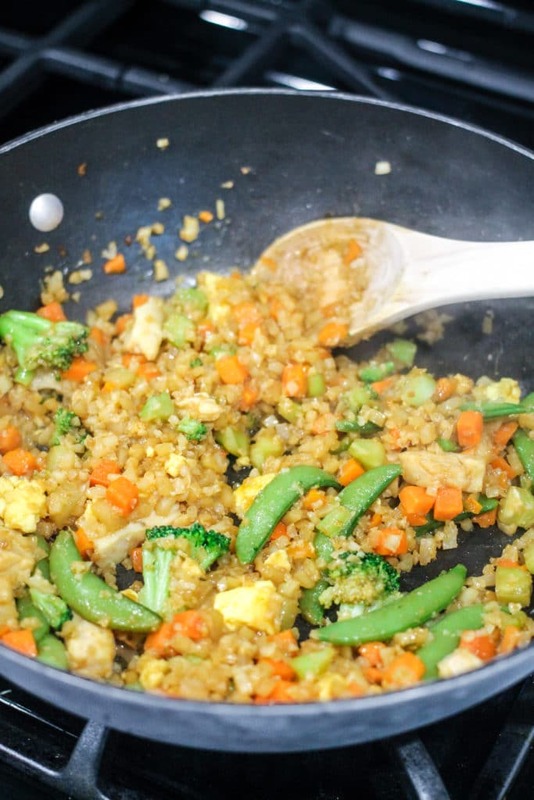 Delicious cauliflower ‘rice’ with chicken, vegetables, and the perfect sauce! This family meal is ready in a few minutes and makes life so easy! I know I am not the only one who struggles to get dinner together on busy weeknights. 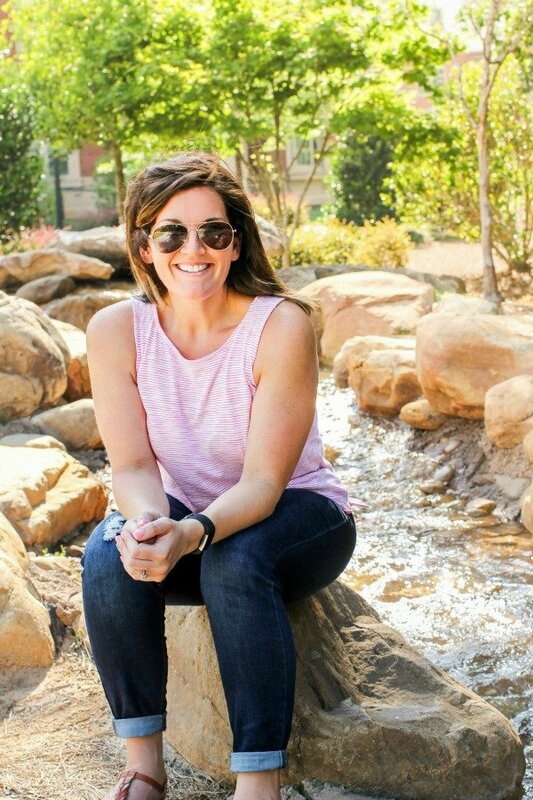 Finding time to cook something nutritious while entertaining my children, cleaning up the house, and getting homework done is nearly impossible! Now that my kids are getting older, we have multiple sports and activities in the evening, and by the time we all get home we are starving! I hate running to the drive through, so I am always looking for convenient, nutritious options. When I heard about Birds Eye® Veggie Made™ Chicken Fried Riced Cauliflower, I knew my family would love to try it! As I mentioned, finding convenient meals that I feel good about feeding my family can be difficult. I love that when I shop at Walmart, I can now find these delicious Birds Eye® Veggie Made™ Meals in the freezer section where all of the frozen meals are located. 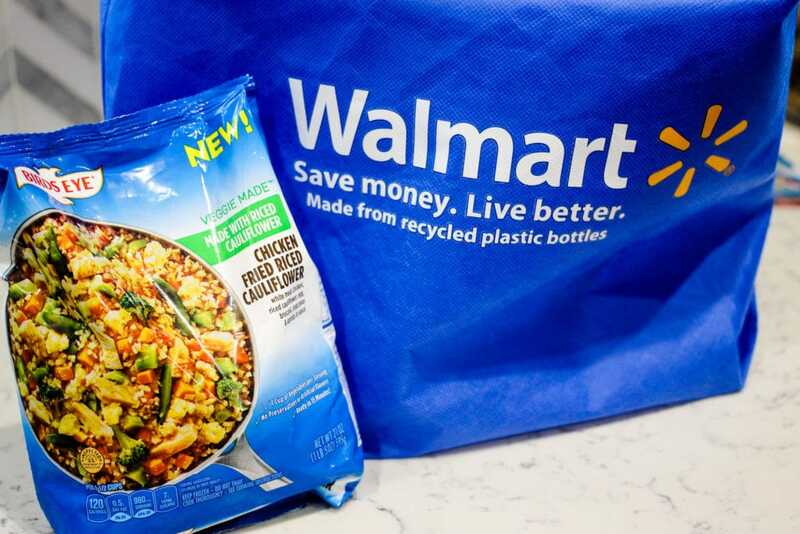 It’s so easy to grab these meals and go when I am doing my shopping at Walmart! I love that they are low priced, nutritious, and are available at my local Walmart. Click here to find your nearest Walmart! Click the Ibotta link here to find savings on Birds Eye® Veggie Made™ Meals (offers are available while supplies last). My family absolutely loved the Chicken Fried Riced Cauliflower, but there are other varieties as well: Birds Eye® Veggie Made™ Garlic Chicken, Birds Eye® Veggie Made™ Alfredo Chicken, and Birds Eye® Veggie Made™ Sweet & Sour Chicken are also great options. 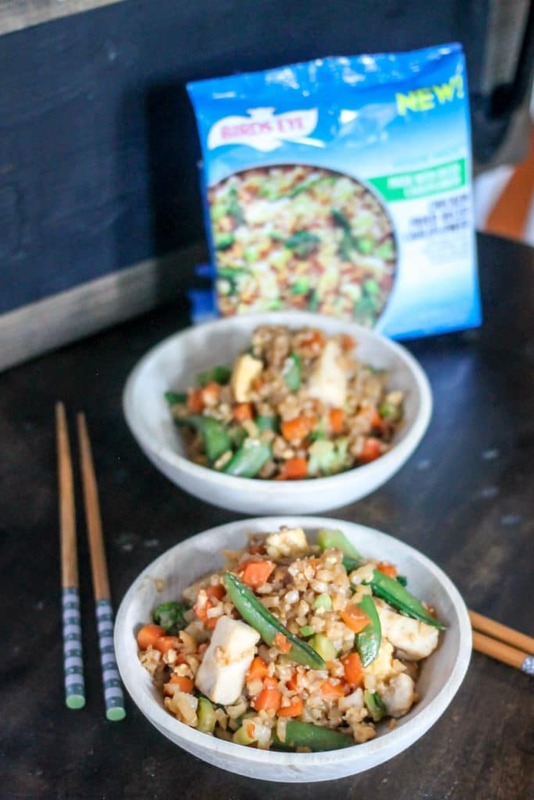 The coolest part about these meals is that ALL the “rice” and “pasta” in these meals are actually made from VEGETABLES! How cool is that?! My kids love that they are eating “pasta,” but little do they know they are actually eating nutritious vegetables! SCORE! I love that the meals only take 15 minutes to make and only use one skillet! Clean up is a cinch, and I have more time to spend with my family, rather than doing dishes! It’s a complete meal so I don’t have to worry about making anything else to accompany it! With 1 full cup of vegetables per serving and no artificial preservatives or flavors, I feel good about feeding them to my family! 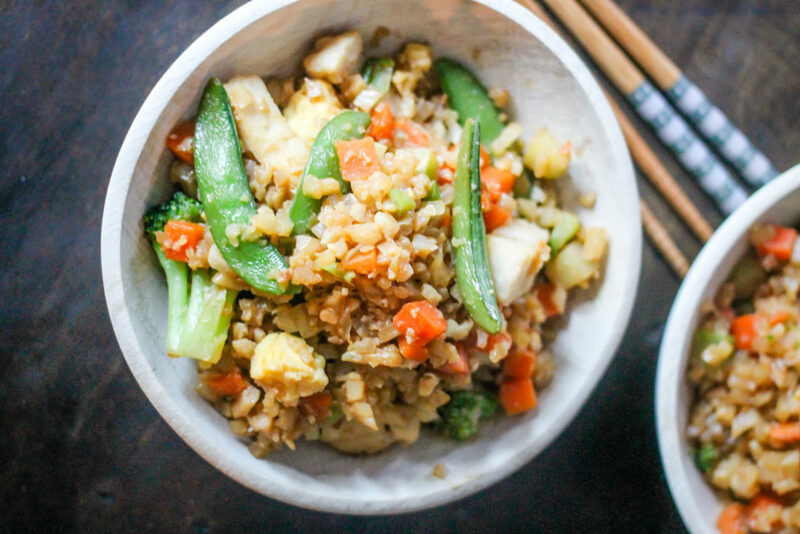 Delicious cauliflower 'rice' with chicken, vegetables, and the perfect sauce! This family meal is ready in a few minutes and makes life so easy! Follow preparation instructions on the back of the packaging. Ready in 15 minutes! Cauliflower was a nice touch! The ingredients really compliment each other ! I love easy dinners like this. Can’t wait to make this! This Chicken Fried Riced Cauliflower is great when we need something easy and delicious! Yum! This is totally my kind of dinner! Its fantastic!! 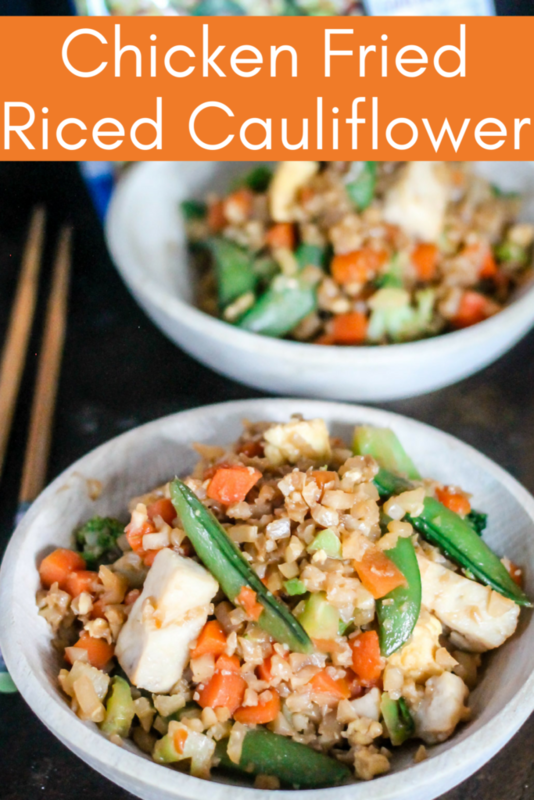 Love a healthier version without missing out on flavor. This looks amazing! I have to make it for dinner asap!